University of Hamburg – With about 38,000 students, the University of Hamburg is one of Germany’s largest universities. Within UHAM, CERES participants are part the Center for Earth System Research and Sustainability (CEN) and the Climate Excellence Cluster (CLiSAP), an inter-disciplinary research group that bridges the gap between natural sciences, economics and humanities to project how CC and other anthropogenic pressures will impact the earth’s ecosystems and their goods and services. Within CEN/CLISAP, the Institute of Hydrobiology and Fisheries Science (IHF) combines a variety of methodological approaches in process-oriented investigations of dynamic interactions within aquatic food webs and between organisms and their physical environment. Laboratory, field and modelling studies examine how bottom-up, top-down and other climate-driven processes interact to influence the dynamics of living marine resources and food webs in a variety of shelf/enclosed seas (Baltic Sea, North Sea) and river/coastal habitats (Elbe River, Wadden Sea). Special emphasis is given on advancing the predictive capacity of models applied within integrated, ecosystem-based management. The IHF is within the top 15 in EU funding for university marine science institutes). Main tasks in CERES – UHAM coordinates CERES. It leads WP6 (Engagement, Integration and Synthesis) and WP7 (Management and Dissemination and Communication) and participates in all other WPs. CoNISMa – The National Interuniversity Consortium for Marine Sciences (CoNISMa) encompasses the Italian academic excellence on marine research (32 Italian Universities and 700 scientists) and as a part of the EU Marine Board, is legally recognized as a Unique Research Consortium under the surveillance of the Italian Ministry of University and Research. Being a single entity, the Italian University-based research and capacity building system relies its excellence on CoNISMa covering all marine fields ranging from physics to chemistry and from geology to biology, ecology, engineering, economics and legal sciences and operating worldwide from the Mediterranean to all world oceans, including Arctic and Antarctic areas. Main tasks in CERES – Jellyfish blooms have attracted considerable scientific interest for their potential impacts on human activities and ecosystem functioning. Multiple stressors, including climate change, are driving worldwide increasing frequency and size of jellyfish outbreaks in coastal and oceanic areas. However, jellyfish roles in marine food webs may vary according to species, life stages, potential predators, and available resources. CONISMA will contribute to WP2 with a review of available information on the various impacts of jellyfish blooms on fish species and more generally, on fishery. This analysis will represent baseline original information of key interest for the development of food web models and ecosystem assessments. These interactions and the potential outcomes of increasing pelagic jellyfish populations in the context of global changes will be discussed. In addition, CONISMA will also contribute to WP3 with information from the Mediterranean Sea on jellyfish impacts to fin fish marine aquaculture (I) through interviews to aquaculture farmers concerning the average perception of jellyfish impacts, and (II) by supporting the ideation and development of mitigation tools and protocols to reduce/prevent impacts of stinging gelatinous organisms (cnidarian foulers and jellyfish). DLO is participating in CERES with two of its institutes. DLO-IMARES (Institute of Marine Resources and Ecosystem Studies) is a non-profit privatised research organisation that is part of Wageningen University and Research Centre (WUR). IMARES has a staff of approximately 175 employees and an average turnover of €20 million per year. One of its locations is situated in Yerseke, where 95% of the Dutch shellfish industry is based, including ships, processing plants, distribution centres and a special auction especially for bivalves. IMARES has been involved in shellfish research for more than 30 years, and it is the only research institute in the Netherlands with in-depth knowledge of the shellfish sector. The institute is able to draw on a wide experience in the fields of aquaculture and shellfish ecology. IMARES has an active research group that monitors the size of shellfish populations in coastal and estuarine waters, predicts seed production, monitors algal blooms and quality of shellfish, predicts production based on the food availability, and provides advice to the shellfish industry. IMARES is also the main institute for applied fisheries research in the Netherlands and conducts annual surveys for monitoring various fish stocks in the North Sea and north-eastern Atlantic. The long-term database available from these surveys provides a solid base for studying changes in the ecosystem. Besides the monitoring and data collection researchers also have a broad range of skills in theoretical ecology and devloping sophisticated statistical anlaysis and modelling methods to study key research questions. IMARES has strong links with the fishing industry allowing for strong collaborations between science and fisheries to develop sustainable fishing practices. IMARES has been involved in several EU projects, e.g. RECLAIM, VECTORS, MEECE, KEYZONES, REPROSEED. DLO‐LEI (Agricultural Economics Research Institute) is the main institute for socio‐economic research in agriculture, horticulture, fisheries and forestry in the Netherlands, having a staff of over 250 people. The fisheries research team employs twelve persons in total, of whom ten are professional research workers and two support staff for the extraction of financial statistics of the sector and administrative tasks. Since 1948 the fisheries unit has built up solid experience in all fields of fisheries economics and social sciences, such as financial analysis, market research, techno‐ and bioeconomics, management policies, aquaculture and fisheries development and governance. Part of the fisheries research program is regular activities of extraction, processing and publication of the economic results of Dutch fisheries and aquaculture. A panel of skipper-owners covering about one quarter of the sea fishing fleet is annually making these data available on a voluntary basis. Another part consists of specific research projects requested by the Dutch fishing industry or the Fisheries Directorate of the Ministry of Economic Affairs. Finally, the fisheries research group carries out studies contracted by the European Union. LEI has been involved in several EU projects, e.g. EFIMAS, CAFÉ, CEVIS, COBECOS, VECTORS, SOCIOEC, MYFISH. Main tasks in CERES – IMARES will lead WP3 and contribute to task 2.2 (statistical analysis of historical changes in North Sea fish stocks), task 2.3 (projections modelling of habitat quality and biomass of North sea fish stocks for task 4.1), task 3.1 (determined parameter values in a combined feeding experiment), task 3.2 (provide data for statistical early warning technique), and Task 3.3 (model effect of climate scenarios on growth and survival of M. edulis, C. gigas and O. edulis) and to WP6. Please provide at least 50 words describing the work your institute is due to perform in CERES. LEI will lead task 4.1 (Spatially-explicit bioeconomic estimates of climate-driven changes in fishery access, resources, and effort applied to the North Sea flatfish fishery – sole and plaice ) and task 6.1 (Stakeholder Consultation and Engagement) and contribute also to task 4.2 (Effects of climate change on farm-level productivity and profitability), task 1.2 and WP7. DTU – The Technical University of Denmark is a self-governed, science and technology university ranked in the top 40 technical institutes internationally. The Institute of Aquatic Resources (DTU Aqua) provides research, education and advice concerning sustainable exploitation of living marine and fresh water resources. DTU Aqua conducts research in the interactions between the aquatic environment, productivity and variation in fish stocks, methods for fish stock assessment, and develops methods for sustainable fisheries management and stock enhancement. The institute conducts the Danish national monitoring on fish and fisheries for the EU. DTU Aqua has a high international standing within marine sciences and technology and extensive experience in coordinating and managing scientific programmes, e.g. EFIMAS, PROTECT, EASE, DEFINELT, SEAFOOD+, FACTS, MYFISH, EUROBASIN and DISCARDLESS. The Fisheries Management Group is among the leading research groups in the world for developing and implementing bio-economic fisheries management evaluation tools and broader scale ecosystem based management models taking into account climate and fisheries pressures as well as biological and technical interactions in the ecosystems and fisheries systems. The Centre for Ocean Life, a centre of excellence within DTU Aqua, is pioneering the trait-based approach to marine ecology in order to develop a fundamental understanding and predictive capability of marine ecosystems. The Danish Shellfish Centre (DSC) is a section in DTU Aqua conducting research in shellfish and seaweed production as well as coastal zone ecology. DSC has access to excellent research infrastructure in the Limfjorden, where the Danish shellfish production is centred. NUI – The National University of Ireland Galway lies at the centre of Ireland’s western marine area and it is the third highest ranking university in Ireland. The marine and climate change activities of the University are now co-ordinated within The Ryan Institute for Environmental, Marine, and Energy Research. The Institute constitutes a highly diverse centre of Irish expertise in science and technology. The specific technical skills of the phytoplankton research group within the Ryan Institute lie in the fields of the interactions between physical dynamics on the continental shelf and their influence on coastal phytoplankton blooms, Harmful Algal Blooms (HABs), and culturing toxic phytoplankton species. The institute also hosts international expertise on gelatinous zooplankton ecology, especially in studying the impacts of harmful jellyfish blooms on the aquaculture industry. Both research topics benefit from the Carna Research Station which is the Ryan Institute’s base for large scale, exploratory aquatic investigations, and both applied and basic research, on existing and novel species for aquaculture. The Ryan Institute has approximately 100 academic members, and over 200 postgraduate and postdoctoral research members. Main tasks in CERES – NUI will lead Task 3.2 and will may significant contributions to WP2 & 4 (in addition to WP3). NUI will also contribute to WPs 1 and 5-6. NUI will provide the detailed knowledge on Harmful Algal Blooms and Harmful Jellyfish Blooms necessary for the completion of Tasks 3.1 and 3.2, which feed directly into Task 3.3. NUI will conduct challenge trials and mesocosms to investigate fish-jellyfish interactions to address key gaps in our knowledge. NUI will engage stakeholders from the aquaculture industry to determine possible climate change impacts on the industry (Task 1.2) and to provide relevant economic information for the economic models in Task 4.1 and risk and vulnerability information for WP5. Throughout the project NUI will actively engage with the aquaculture industry (WP6). Mediterranean coast of Turkey, Mersin University is not only attracting talented students but is also preferred by skilled and experienced academic staff. 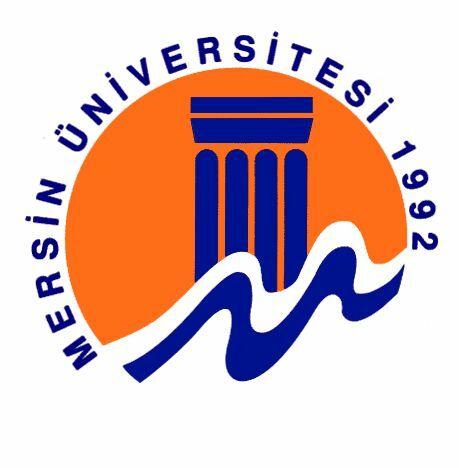 Mersin University is providing undergraduates degrees in 13 faculties namely; faculty of architecture, arts and sciences, communication, education, engineering, economics & administrative sciences, fine arts, fisheries, pharmacy, fisheries, maritime, medicine, technology and tourism. Institutes of applied sciences, fine arts, education, health and social sciences also offer postgraduate degrees in associated fields. There are over 33000 students enrolled at undergraduate or postgraduates programs at Mersin University with 1554 academic staff. UHULL – The University of Hull has extensive expertise in coastal marine, estuarine and freshwater sciences, socio-economics and policy. Within UHULL, CERES participants are from the Institute of Estuarine and Coastal Studies (IECS), Hull International Fisheries Institute (HIFI), The Hull University Business School (HUBS),the Law School and the School of Politics, Philosophy and International Studies. IECS specialises in applied marine science and management, particularly regarding anthropogenic changes in estuarine and coastal marine areas. The IECS permanent staff and postgraduates have expertise in marine and estuarine ecology, fisheries, sedimentology, policy and governance, environmental economics, modelling, statistics and GIS and the Institute can rightly claim to be both multidisciplinary and interdisciplinary, which is now particularly important as many of the problems faced by the users of the marine environment require such an integrated approach. HIFI specialises in applied research on fisheries, conservation and aquatic-resource management, especially in inland waters, with emphasis on the scope for sustainable development, management and commercial development. IECS and HIFI have research links to the other environmental science departments and schools in the University. HUBS is a double accredited (AMBA and AACSB) UK business school dedicated to the development of responsible leadership for a complex world. Of particular relevance to CERES are two HUBS research groups, the Economics group which promotes and supports applied and policy-oriented economic research, including a strong record in environmental economics in the marine environment; and the Centre for Systems Studies, an international centre of excellence for interdisciplinary research in systems thinking and practice, providing management systems expertise. The UHULL Law School has a vibrant, varied and interdisciplinary research culture supporting a diversity of research perspectives, objectives and methodologies. Of relevance to CERES, the McCoubrey Centre for International Law has internationally recognised expertise in the law of the sea and international environmental law. The UHULL School of Politics, Philosophy and International Studies boasts an impressive staff that includes political scientists, social and political theorists and historians. Of relevance to CERES, the Centre for European Union Studies (CEUS) which is a Jean Monnet Centre of Excellence. CEUS members have a long track record of undertaking externally funded (e.g. by the EU, ESRC and British Academy) research on environmental (including marine and climate change) policy and politics. Main tasks in CERES – UHULL will lead WP5 (Risks, vulnerability and solutions), with also a leading role in developing a conceptual model for stakeholder-informed risk assessment and solution mapping (T5.1) within this WP. UHULL will participate also in WP2 (Projecting the effects of climate change on fisheries target species) by contributing to the review of existing information on indirect effects of climate changes such as habitat alteration or loss in riverine (CERES SI-3, inland waters) and estuarine wetlands and their supporting role as essential fish habitats (e.g., nursery) for fishery stocks (T2.1) and the analysis of long-term spatiotemporal data series to detect climate-induced changes in the fish use of estuarine and riverine habitats and their role in changes of commercial fishery landings (T2.2). As with all the other partners, UHULL will also contribute to: discussions about drivers and scenarios of European fisheries and aquaculture to identify plausible changes in parameters needed for ecological risk assessment (WP5) and other WPs (T1.2 in WP1); stakeholder engagement and dissemination of results (WP6); and project management through compilation of progress reports and financial management (WP7). ZUT – The West Pomeranian University of Technology, Szczecin was established in 2008 and unites the long-standing expertise of the faculties in the University of Agriculture and University of Technology. The focus is on innovative, knowledge-based solutions for society which foster technological and economic development in such areas as the natural sciences. WPUT employs > 1000 teachers within ten faculties specializing in 47 fields of study for approximately 13,000 students. CERES involves researchers within the Faculty of Food Science and Fisheries (>950 students), the latter is an international graduate program established in 1951. Main tasks in CERES – WPUT will provide detailed information on: (i) carp culture, deliver information for specific condition of trout, salmon and sturgeon culture in Poland, (ii) results of experiment on physiological reaction of fish performed in cooling water conditions, (iii) deliver information concerning water availability/quality impacts on carp farms in northern Poland. Joint action with SME – ICR, (iv) spread, virulence and impact of pathogens on carp and trout farms as a result of CC change,(v) historical changes (from late fifties of 20 century) in fish distribution and productivity in Szczecin Lagoon, (vi) historical changes (collect and analyse data) in fish distribution and productivity in Baltic Sea, e.g. sprat, herring, cod and plaice. CEFAS – The Centre for Environment Fisheries and Aquaculture Science (CEFAS) is an Executive Agency of the UK Department for Environment, Food & Rural Affairs (DEFRA). It is the largest multidisciplinary research organisation, focussing on fisheries (both marine and freshwater) and aquaculture in the United Kingdom. CEFAS currently employs 550 staff based in 2 UK laboratories and provides services to a large number of national and international public and private sector clients, including various UK government departments, commercial companies and the European Commission. Many CEFAS scientists are leaders in their fields and advisors on international bodies such as ICES, OSPAR, STECF, CCAMLR, and ICCAT. CEFAS plays host to the UK Marine Climate Change Centre (MC3) that was created as a practical response to issues highlighted following introduction of the 2008 Climate Change Act and the 2012 UK Climate Change Risk Assessment (CCRA). Scientists within the MC3 undertake novel research and provide in-depth understanding of the global evidence base, coordinating current thinking on marine climate change impacts and adaptation generally, investigating gaps in knowledge and helping the UK to develop a robust response to the challenge presented by global warming and ocean acidification. Cefas scientists were lead authors of climate change chapters within the 2010 OSPAR Quality Status Report (QSR) for the northeast Atlantic. The CEFAS Weymouth Laboratory (Aquatic Health and Hygiene Division) has a focus on aquatic animal disease, including statutory responsibilities as well as a wide portfolio of research and commercial contracts. 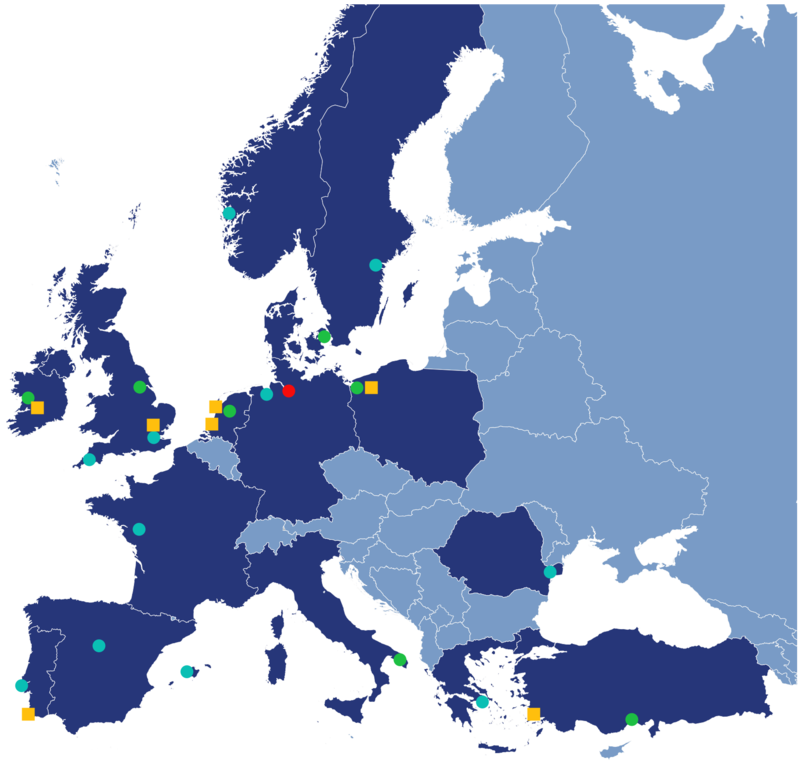 It is a European Community Reference Laboratory for marine pathogens. The epidemiology and risk team uses a broad range of methods (including cost-benefit analysis, modelling, social network analysis, risk assessment, scenario-tree modelling) to simulate disease spread, predict the potential economic impact of diseases in aquatic animals, and develop cost-efficient strategies for surveillance and disease control. CSIC – The Agencia Estatal Consejo Superior de Investigaciones Científicas (CSIC) is the largest public multidisciplinary research organization in Spain, with more than 6000 scientist working on different disciplines. The purpose of CSIC is the development, coordination and diffusion of multidisciplinary scientific research. To foster the advance of scientific knowledge and the economic, social and cultural issues, CSIC collaborates with national and international universities, public RTD organizations, SMEs, companies and other scientific and technological institutions. The CSIC has 135 institutes or centers, including 51 Joint Research Units with universities or other public research institutions. The CSIC has considerable experience both in participating and in managing RTD projects and training research personnel. CSIC has participated in more than 7,700 European projects using different funding instruments, such as Framework Programmes (FP), CECA, INTERREG and LIFE+ Programmes. Under FP7, CSIC has signed more than 440 projects (including 42 coordinated by CSIC as well as 22 ERC). CSIC will participate in CERES with its two largest marine research institutes in the Mediterranean sea, the MEDITERRANEAN INSTITUTE FOR ADVANCED STUDIES (CSIC-IMEDEA) and the MARINE SCIENCE INSTITUTE (CSIC-ICM). Scientists from CSIC-IMEDEA and CSIC-ICM will join resources of personnel and infrastructure for the successful consecution of CERES’s objectives. Both laboratories have ample experience in fisheries ecology and aquaculture, including the participation in projects of climate change effects. The scientists involved have background in mathematical modelling of fish and shellfish ecology and bioeconomics, form species to community levels. CSIC-IMEDEA is a joint research center from CSIC and the University of the Balearic Islands located on Mallorca Island (http://www.imedea.uib.es). This interdisciplinary Institute works on natural resources area. Two research groups form IMEDEA will participate in the project: the research group on Fish Ecology and the group on Mediterranean Sea level. CSIC-ICM is a multidisciplinary marine research center, including investigations in marine physics, marine geology, marine biology, marine chemistry and technological development. CSIC-ICM has ten Technical Services to support its research activities and a Coastal Observatory. The members of the CSIC-ICM involved in the project belong to the Department of Marine Renewable Resources. The ICM team has contributed with more than 200 scientific papers to areas related to CERES objectives, published in peer-reviewed journals. Main tasks in CERES – CSIC will participate in all WPs and will provide full (embracing from Wp2 to Wp4) case studies for the project. CSIC-IMEDEA will be responsible for the institutional (CSIC) administrative coordination and will lead WP2 and T2.1., and will participate in coordination with ICM-CSIC in two case-studies in the NW Mediterranean. CSIC-ICM will coordinate case studies on the effects of climate change on Western Mediterranean fisheries and the effects of climate change on shellfish aquaculture.CSIC also brings the added benefit of existing links with important SMEs and organizations in Romania, including: (i) Fepromodel, (Federation of shellfish producers of the Ebro delta): have agreed to provide samples for experiments and answer surveys, (ii) Balearic Federation of fisherman’s associations (commercial): Agreed to participate in surveys on how the fishermen regulate the prices based on phenology and size structure and provide the necessary information for surveys and economic valuations for WP4, (iii) Regional Government-Department of Fisheries and Aquaculture: will enable the use of restricted statistics and help disseminate results to the fisheries sector, (iv) Bazar Las Palmeras S.L: will help collect information from fishermen. 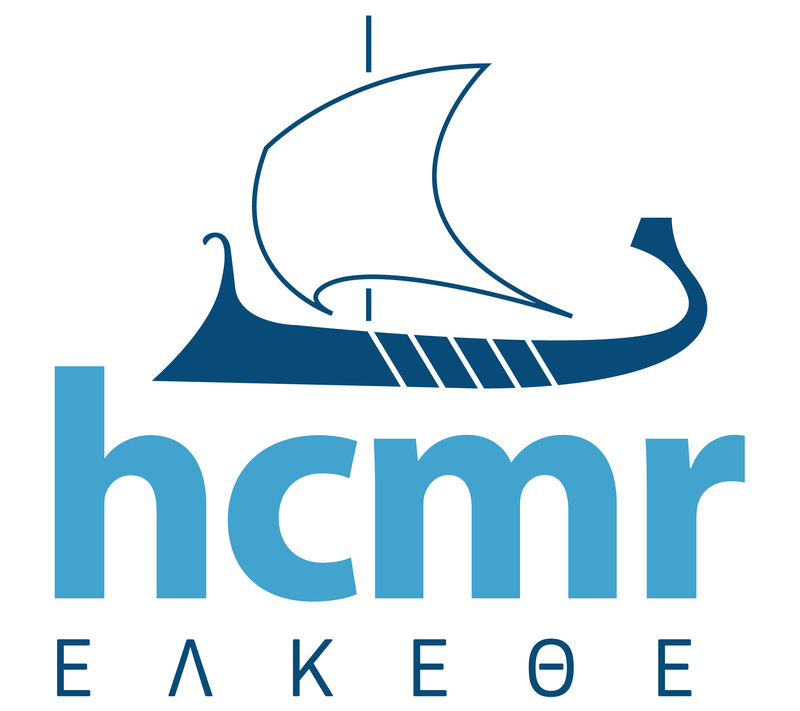 HCMR – The Hellenic Centre for Marine Research (HCMR) is the largest public marine research organization in Greece. HCMR aims to carry out scientific and technological research, and experimental development, dissemination and implementation of produced results, especially in the fields of study and protection of the hydrosphere, its organisms, its interface with the atmosphere, the coast and the sea bottom, the physical, chemical, biological and geological conditions that prevail and regulate the above mentioned systems with: a) the production of products and supply of services, b) the support of decision-making concerning the general public, the economy and culture , c) their economical exploitation either by the HCMR and/or by its employees or by third parties. For the accomplishment of its aims the HCMR : a) plans and carries out scientific and technological programs, projects and elaborates relevant research studies, b) promotes the development of relations and cooperation with international organisations, Universities and relevant national and international Research Institutes as well as legal and physical parties , c) promotes scientific expertise on the aforementioned, d) contributes towards educating, informing and general awareness of the public, e) provides scientific and technological information through the appropriate website , f) provides products and offers services relevant to its research interests, g) represents Greece in international organisations with relevant activities. HCMR will participate in CERES with the Institute of Marine Biological Resources and Inland Waters; IMBRIW which is dedicated to the study of marine biological resources. IMBRIW is the leading institution in Greece, with a key role in the Mediterranean region, and an important presence in Europe on aspects related to fisheries and inland water research. Main tasks in CERES – In CERES HCMR will coordinate specifically the task 2.2 and participate in all WPs. The scientists involved have background in ecological modelling; ecosystem modelling; bioeconomic modelling, demersal fish and aquaculture studies and have worked in numerous European projects. 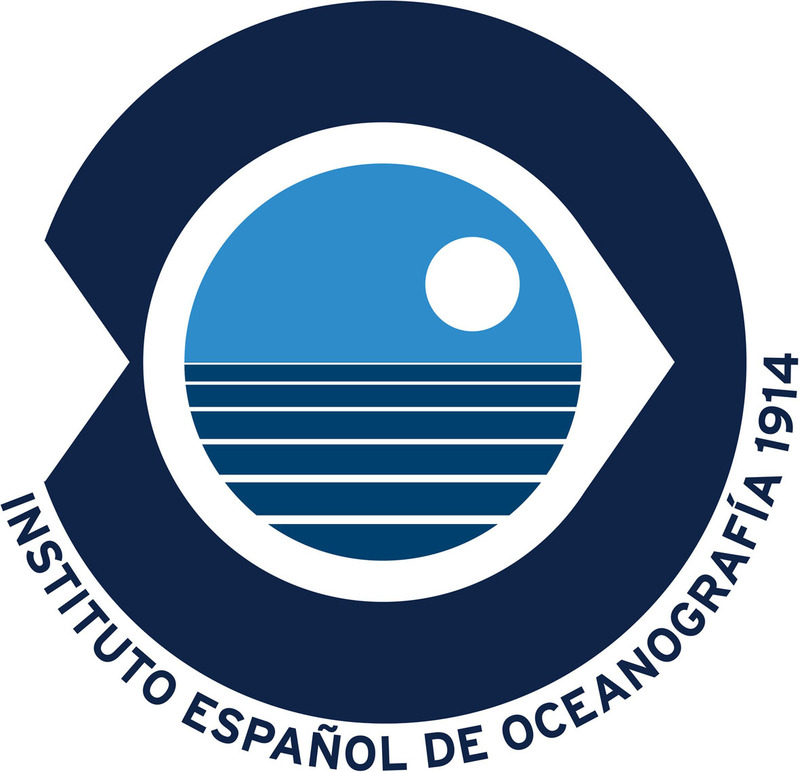 IEO – The Spanish Institute of Oceanography (IEO) is a public research organisation founded in 1914 and involved in multidisciplinary marine research. IEO is responsible for providing the scientific basis for the management of marine living resources exploited by the Spanish fishing fleets, as well as advice on issues related to aquaculture, oceanography and marine pollution. The Institute headquarters are located in Madrid but has eight coastal laboratories, five aquaculture plants and five research vessels. The current staffs include about 600 people, half of which are qualified scientists. Effects of Climate Change on small pelagic fisheries and its effect on the relation with top predators. IEO team 3 (Tuna) Effects of climate change on the different life stages of tuna and implications for the stocks. 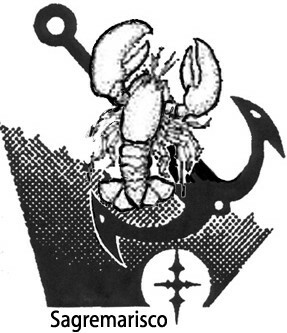 IFREMER – Created in 1984, the Institut Français de Recherche pour l’Exploitation de la Mer (IFREMER) is a French public institute of an industrial and commercial nature (EPIC). It is supervised jointly by the Ministry of Higher Education and Research and the Ministry of Ecology, Sustainable Development and Energy. Ifremer works in a network with the French scientific community, but also in collaboration with partner organisations in numerous other countries. This cooperation is centred on large international programmes, on French overseas regions and targeted countries (United States, Canada, Japan, China, Australia, Russia), and on Mediterranean policy- forming partnerships between Europe and countries of the southern Mediterranean coast. It also operates a great part of the ocean research fleet, including all underwater systems and large-scale mobile facilities and equipment. Ifremer, through its research work and expert advice, contributes to knowledge of the oceans and their resources, to monitoring of marine and coastal environments and to the sustainable development of marine activities. To these ends, Ifremer conceives and operates tools for observation, experimentation and monitoring, and manage the oceanographic databases. Main tasks in CERES – Ifremer will be involved in WPs 2, 3 and 4, working on the pelagic fishery and on mariculture in the Bay of Biscay, from process understanding to the evaluation of impacts. The methodologies developed will be generic and applicable across regions. In WP2 (Tasks T2.1, T2.2 and T2.3), Ifremer will work to understand changes in small pelagic fish bioenergetics, adult spatial distribution and larval dispersal, proposing model transferability across regions and use long-term environmental hindcasts (30+ years) to evaluate the significativity of change in projected populations under climate scenarios as compared to past variability. In WP3 (Task 3.2), Ifremer will identify and model HAB events leading to band the consumption of farmed oysters and will predict these detrimental events in what-if scenarios of climate change and test change in occurrence against long-term hindcasted variability. In WP4 (Task 4.1), Ifremer will evaluate the consequences of changes in distributions and growth of small pelagic fish on the economic viability of the bay of Biscay pelagic fleet contributing these aspects to synthesis activities in WP5. IMR – The Institute of Marine Research (IMR) in Bergen is the country’s primary fisheries, aquaculture and oceanographic research institution and the 2nd largest in Europe. Its main task is to provide advice on the ecosystems of the Barents Sea, the Norwegian Sea, the North Sea and the Norwegian coastal zone including fisheries and aquaculture. It is responsible for monitoring of hydrography, biogeochemistry and plankton as well as fish, marine mammals and seabirds. It conducts plankton and fish surveys in the North, Norwegian and Barents seas. It also contributes to the assessment of marine stocks through ICES working groups. IMR, along with the affiliated Bjerknes Centre for Climate research and the Hjort Centre for Marine Ecosystem Research undertakes scientific research to improve our understanding of variations in the marine ecosystems, particularly in relation to fish stocks and aquaculture. This includes the impact of the marine climate on the reproduction, distribution and behaviour of marine organisms to provide a basis for predicting effects of climate variation on fish stocks and for developing scenarios for the impacts of human-induced climate change on marine ecosystems and farmed organisms. Main tasks in CERES – IMR will provide data, run models and undertake analyses especially pertaining to stocks and aquaculture in Norwegian waters. In WP1 it will provide future physical and lower trophic level data from models; contribute to the discussion on natural variability versus anthropogenic climate change; and gather information on Norwegian aspects pertaining to governance and economic issues. In WP2 it will collate information on the most commercially important demersal and pelagic stocks in the Barents and Norwegian seas and the North Sea from the Norwegian sector; perform statistical analyses of climate influences on stock variability; and model future distribution and productivity of several Norwegian stocks using the Atlantis model. In WP3 IMR will contribute to the review of direct effects of climate change on aquaculture species, highlighting Atlantic salmon; it will provide major input regarding salmon aquaculture, modeling the role of climate change on salmon lice as well as dispersal of viral and bacterial pathogens; and provide data on salmon and rainbow trout to the modeling efforts of climate change on various aquaculture species. In WP4 it will contribute to the bioeconomic modeling for the stocks in the Barents and Norwegian seas using the Atlantis model. In WP5, it will undertake vulnerability analysis on Norwegian stocks. In WP6, IMR will be involved with stakeholder consultations and engagement, adaptation and mitigation strategies as well as governance issues. 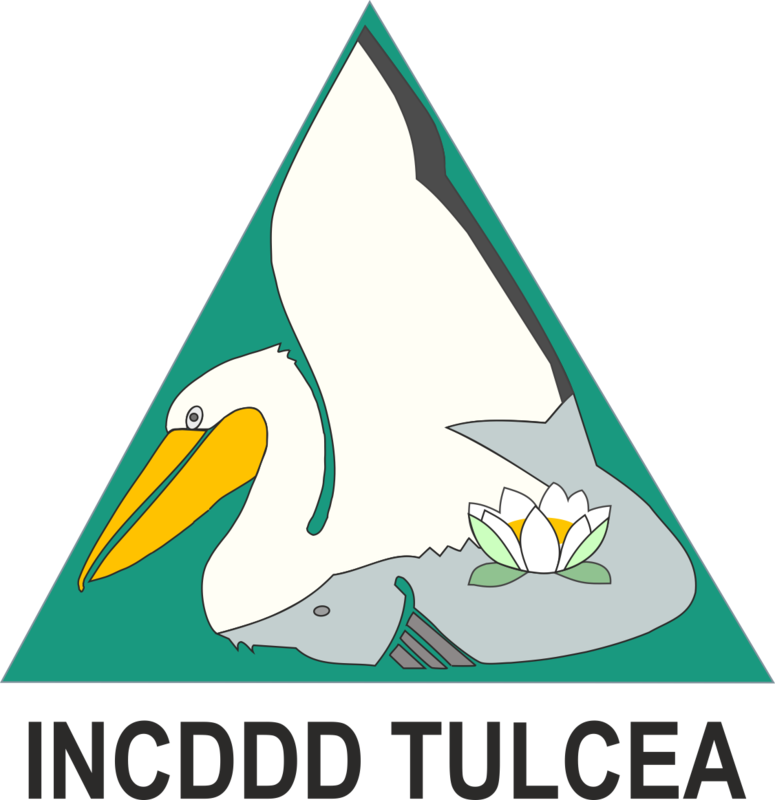 INCDDD – The Danube Delta National Institute for Research and Development (INCDDD) is a Romanian multi-disciplinary aquatic national research institute coordinated by the Ministry of Education and Scientific Research that provides scientific support for the management of the Danube Delta Biosphere Reserve (DDBR) and other wetlands of national or international importance concerning biodiversity conservation, sustainable use of natural resources or sustainable development. INCDDD is located in Tulcea town, the main entrance gate into the DDBR and it has approximately 100 employees. The research activity is oriented and structured upon the domains aimed to achieve the national environmental policy objectives as well as the EU ones. The INCDDD scientists work in multi-disciplinary teams bringing together specialists in water physical-chemical factors and biodiversity investigation monitoring, ecology, hydrology, fisheries, system modelling, GIS, social sciences and civil works. Main tasks in CERES – The main role of INDDD is to contribute in investigation and research on Case Study 3: Inland Fisheries and Aquaculture, on key species/groups from south-east Europe, especially of freshwater inland fisheries and Aquaculture for Danube delta (carp, shad, sturgeons, other cyprinids). NCDDD will model the impact of climate changes on representative fish biomass/yield in Danube Delta lakes using AQUATOX (U.S. Environmental Protection Agency) an ecosystem simulation model that predicts the environmental fate of various pollutants, such as excess nutrients and organic chemicals, and their effects on aquatic ecosystems, including fish, invertebrates, and aquatic plants. The main activities in AQUATEX are the following: Consolidate the abiotic/biotic database for Danube delta lakes; Define climate changes scenarios (parameters and time step); Update the model species library for plants (aquatic vegetation) and fish; Modelling the Danube delta lake ecosystems and climate changes scenarios. The analyses will be made on different future climate scenarios. INCDDD will perform stock assessment (VPA) for inland species stock for estimate CC influence especially in natural mortality and projection for growth, recruitment, biomass as and MSY. The INCDDD will participate in all other WPs and will be a liaison for local and national stakeholders as CS3 and SI-3 involved partner. IMPA – The Portuguese Institute for the Sea and Atmosphere is a public research institute devoted to carry out research, technological development, innovation, services and dissemination activities on sea and atmosphere. In what regards activities on sea, sustainable exploitation of marine resources as well as on production, upgrading and processing of high quality seafood products are included. IPMA acts as counselor to the national authorities on aquaculture, fisheries, fishing industry and fishery organizations, and member of a high number of national and international commissions. The team belongs to the Division of Aquaculture and Upgrading (DivAV), which deals with pre competitive research and experimental development on fish and shellfish utilization, quality monitoring and assurance, and support to fishermen/aquaculture producers and the fish and shellfish industry, by way of technical advice, technological tests and technology transfer. DivAV includes the Olhão Aquaculture Research Station (EPPO) and Shellfish of Experimental Production Station of Tavira (EEMT) those carries out research and technological development on the production of species with potential value for the Portuguese aquaculture industry and on aquaculture/environment interactions. Main tasks in CERES – EPPO-DivAV has deep expertise with the production (in cages, earth ponds, longlines, bottom cultures and tanks) in all stages of the life cycle of emerging (meagre, sole, bream) and traditional (seabream, seabass) farmed fish species, as well as with several bivalves, including mussels, clams and oysters. That will be relevant for WP3. As the national authority involved with research on all sea activities, IPMA has also close contacts with the policy makers, fishermen, farmers (and respective associations), seafood processors, distribution and retailers, as well with consumer organizations. DivAV has also deep expertise in the development of stakeholders surveys (relevant to WP1), in the assessment of, in the assessment of bio-indicators of vertebrates and bivalves quality and welfare (microbiology, molecular biology, biochemistry, physiology; relevant for WP3). PML – Plymouth Marine Laboratory is an International Centre of Excellence in Marine Science & Technology and a Collaborative Centre of the UK Natural Environment Research Council. PML operates as a company limited byguarantee with charitable status, and is a recognized Horizon 2020 Research SME. PML conducts interdisciplinary and innovative fundamental, strategic and applied research, on the interactions between the marine environment and society in estuarine, coastal and shelf waters, as well as the upper layers of the global ocean. The research at PML is highly relevant to global societal needs and has at its core the mission to contribute to issues of global change and sustainability. PML conducts research with approximately 250 partners in over 50 countries, and has an annual research income in excess of €15 million. PML has 165 employees of which 110 are directly involved in science delivery. In addition it hosts PhD and MSc students as part of Doctoral Training Centers with leading UK Universities and international partners. PML has state of the art computational, observational and experimental infrastructure, including its own computer cluster and research ship (the RV Plymouth QUEST). PML is particularly known for its inter-disciplinarity, combining expertise in physics, chemistry, biology, as well as economics and social science. Main tasks in CERES – PML leads WP1 (Drivers and scenarios of European fisheries and aquaculture), as well as tasks T1.1 (Physical and biogeochemical short-, medium- and long-term scenarios), T2.3 (Projection modelling of changes in distribution and productivity of commercial fish populations) and T4.3 (Fisheries- aquaculture interaction and aquatic sector relevance to national economies). As all partners, PML contributed to WP6 (Engagement, integration and synthesis). SMHI – The Swedish Meteorological and Hydrological Institute (SMHI) has about 650 employees and is an expert agency under the Environment and Energy Department with a mandate to work with meteorology, climatology, hydrology and oceanography. SMHI is host of the international CORDEX secretariat, the national IPCC focal point and the national knowledge center for climate adaptation. The research department has about 100 employees and with the help of supercomputers, computational models, statistics and research has a mission to work with long-term model development and to improve the quality of forecasts and decision support, with practical benefits to society. Knowledge and tools to describe the key processes in the atmosphere, in the ocean and on land is developed. Research is often conducted in national and international, multidisciplinary collaborations, funded on the basis of competitive research funding with other institutes worldwide, and SMHI has coordinated several EU projects. Particular research focus is on the climate system and regional climate modelling, especially within the Rossby Centre. The division of oceanographic research is working with short- and medium range ice-ocean forecasts in the Baltic Sea, North Sea and Arctic Ocean, data assimilation, regional climate impact modeling and climate analysis. Research focus is also on the biogeochemistry of the oceans with specific emphasis on eutrophication, harmful algal blooms and hypoxia. The division also have experience in science communication and decision support, an example of which is the award-winning presentation of climate change in the Baltic Sea (BONUS+ award 2011 for the Best Public Engagement activity or product: ECOSUPPORT GeoDome – Stakeholder decision support by scientific communication). Main tasks in CERES – SMHI will perform regionally downscaled climate projections, based on IPCC AR5 emission scenarios, for the Baltic and North Sea region. This will be produced, with the aid of supercomputers, by the SMHI-developed coupled atmosphere-ocean model RCA-NEMO. The output of the projections will be used to drive the 3D coupled physical-biogeochemical model RCO-SCOBI, to enable transient scenario simulations for the 21st century of the Baltic Sea marine environment. This will be done in combination with different scenarios of nutrient-load input from rivers, atmosphere and point sources. The output parameters will be used to describe short- and long-term variability in key parameters in the Baltic Sea (CERES T1.2), as well as to give input to fish population and aquaculture models (WP2-4). The regional climate model output will also be used to produce bias-corrected scenarios of European river runoff using the E-HYPE-model for inland waters (CERES SI-3). TI – The Thünen-Institute of Sea Fisheries undertakes ecological and economic research to guide the sustainable use of living marine resources. TI-SF prepares decision support for the German Federal Ministry of Nutrition and Agriculture with respect to the Common Fisheries Policy of the EU and international marine conventions (e.g., NEAFC, NAFO, CCAMLR, OSPAR, IWC, ASCOBANS) of which Germany is a member. Through its research activities and scientific monitoring programs, the institute contributes to increasing knowledge about ecology and economy of marine systems. The institute enunciates research-based advice to the European Commission (STECF and other EU advisory boards) and provides a significant part of the German contribution to the advice on fisheries and marine ecosystems under the auspices of the International Council for the Exploration of the Sea (ICES). TI-SF takes part in international research projects funded by EU and other agencies in order to resolve specific questions regarding the management of marine living resources and to further improve the scientific basis of its advice (e.g. VECTORS, SOCIOEC, COEXIST, PREFACE). Presently, TI-SF coordinates the German contribution to the Trilateral Initiative AWA between Germany, France and Sub-Sahara Africa, coordinated the EU-funded FP 7 project “SOCIOEC” as well as a number of WPs and case studies in the EU-Projects SUCCESS, AquaSpace, MYFISH and PREFACE. TI-SF research expertise particularly relevant to AFOOD includes trophic ecology of fishes, climate effects on fish communities, food web modelling as well as fisheries- and ecosystem assessments. Main tasks in CERES – TI will contribute to WP5 and lead WP4. In WP4 TI will work on the economic impacts of ecosystem effects of climate change on fishing fleets and aquaculture production systems. TI will elaborate on efficient adjustment strategies of the fishing fleets and aquaculture facilities on changing conditions like the northern movement of stocks. In WP5, T5.3, TI will analyse and develop a combination of BNs with the fault tree and event tree pathways analysis of the Bow-tie developed under task 5.2 to quantify the identified threats and risks of climate change on fisheries and aquaculture. Main tasks in CERES – ICR will be involved within CERES project in WP3 – tasks dealing with freshwater aquaculture, especially carp production. Data and observations collected by ICR during project on freshwater fish culture will feed tasks 3.1, 3.2 and 3.3 and data from these tasks will in consequences be used in to assess bio-economic aspects of carp farming in northern Europe. 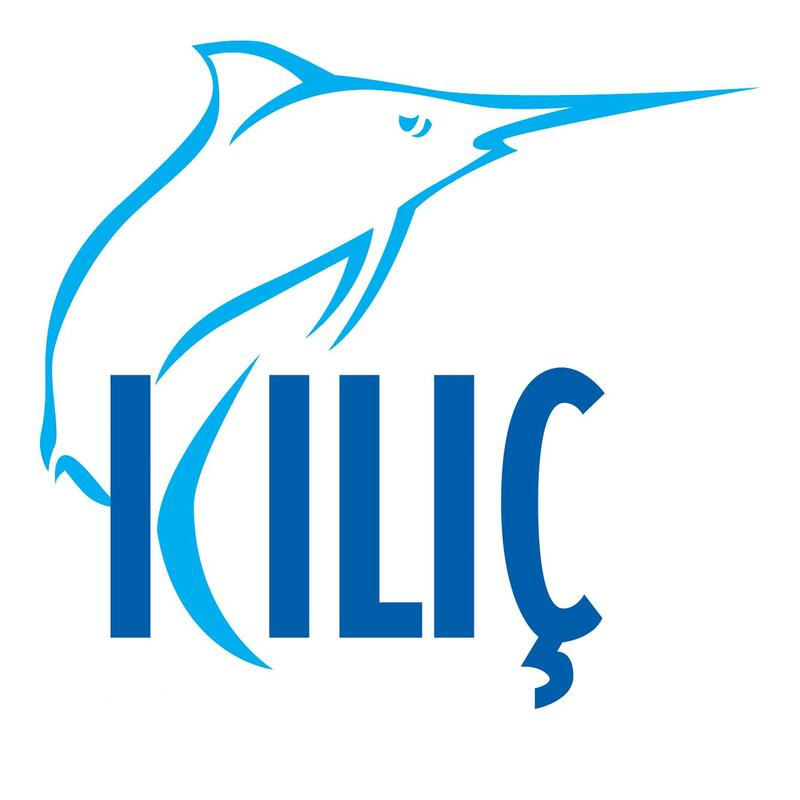 KLC – Kilic, Turkey’s largest aquaculture producer, is a fully integrated aquaculture business from juvenile hatcheries to fish farms as well as from Extruder fish feed plants to the packing and processing plants. All production phases are certified by BRC, IFS, ISO;9001, ISO; 22000, and ISO;14000. Their production capacity is 37,000 tons of sea bass, sea bream, meagre and blue fin tuna farming in 33 sea farms, 4 tons of trout farming in 5 locations, 4 packing & processing plants, 2 feed manufactories, 6 hatcheries and 1 EPS factory. They are able to offer fresh or frozen whole, gutted, fillet and smoked products that are exported to 44 countries in the world. KLC are already active in one ongoing EU project and 3 research projects supported by TUBITAK (The Technical and Scientific Research Council of Turkey) and have experience of previous projects as well. The company operates one of Turkey’s largest trout facilities in Kahramanmaraş with an annual capacity of 50 million juveniles. The facilities for production of sea beam, sea bass and meagre are located in Mugla city and Aydın city while the trout production takes place in Kahramanmaraş, Kayseri and Gaziantep. KLC manages offshore fish farming for sea bream, sea bass, meagre, blue fin tuna and inland fish farming for trout with 42,000 tons/year total capacity. Sea bream, sea bass and meagre fish farming takes place in Mugla, in Aydın and in Izmir with a total capacity 36,000 tons. Trout farming is conducted in Kahramanmaraş Sır Dam, Kayseri Bahcecik Dam and Gaziantep Karkamıs Dam reservoirs with a total capacity 6.000 tons. There are two processing and packaging facilities with 34,000 tons/year for marine fishes as well as a processing and packaging facility with 6,000 tons/year for trout. The fish feed facility, one of the largest extruder fish feed factories in Turkey, has an annual capacity of 120,000 tons. LLE – Longline Environment Ltd is an SME which provides modelling solutions for the aquaculture, fisheries and water quality industries. Its modelling expertise addresses some of the key environmental, social and economic issues faced by stakeholders, regulators and water managers’ regards carrying capacity. We apply models for carrying capacity of aquaculture supporting finfish, bivalve, shrimp and algal aquaculture focusing on production, environment, ecology, and economics. Main tasks in CERES – LLE will be working extensively on WP3 Effects of Climate Change on Aquaculture Species with project partners, and leading task 3.3 on Modelling. Farm-scale and system-scale tools will be used to stress test climate change aquaculture scenarios. We are also deeply involved in WP1 – evaluating the drivers for fisheries and aquaculture in a changing climate, WP4 – evaluating economic impacts, WP5 – risks and vulnerabilities, and culminating in support to deliver lasting impact and legacy through WP6. The primary modelling techniques to be used are (i) spatial modelling to examine coastal habitat changes, (ii) farm-scale models examining productivity scenarios, and (iii) ecosystem models (bay, fjord, transitional water) to examine connectivity-related changes. We will provide essential modelling outcomes for economic models (T4.2), and sensitivity (T5.2), and risk assessment (T5.3). We will use our extensive connections in the aquaculture community to advance stakeholder engagement activities (WP6). 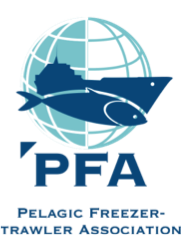 PFA – The Pelagic Freezer-trawler Association (PFA) is an association that represents the interests of trawler owners, occupied in pelagic fishing activities, on a national, European and international level. Nine trawler companies are members of the PFA, each with a long history in the fishing industry. These are mostly family businesses that have been active in the industry for 50 years or more, and which have grown to become fully-fledged companies operating world-wide. Since the early seventies, all trawlers in membership of the PFA have been fitted out as standard with deep-freeze equipment. The PFA has anchored sustainability in the overall policy of the Association and the activities of its members. As a result, the PFA has developed an integral perspective and policy in which responsible entrepreneurship takes a central position. The Association aims to improve the transfer of knowledge on pelagic fishing activities between all those concerned, including the consumer. The members of the association employ a total work-force of around 1500 people. Main tasks in CERES – The PFA will be engaged in CERES activities on pelagic fisheries in which we will contribute information and knowledge on catching practices and targetting behaviour under different assumptions of ecosystem change. In addition, PFA will play an important role in the overall stakeholder engagement process in CERES, particularly in WP1, WP4 and WP5. SGM -Sagremarisco-Viveiros de Marisco Lda was founded in 1995 and is located at Sagres on the extreme SW of the Iberian peninsula, within the Parque Natural do Sudoeste Alentejano e Costa Vicentina.SGM operates at the interface between industry, education and scientific research: industry- maintenance support for the local aquaculture industry and fishing fleet; as well as running trials in marine conditions for materials that are under development for maritime use; education-support with equipment and human resources for coastal field studies by both local and foreign universities, and other educational institutions; research-active participation in scientific research projects with an emphasis on the sustainable management of the coastal zone. SGM has been involved with several EU projects both as a subcontractor (+3) and as a partner (+6). SGM also has a contract with the European Space Agency (ESA) for the validation of the MERIS (Medium Resolution Imaging Spectrometer) sensor that was operational on the ENVISAT satellite between 2002 and 2012, and is on the validation team for the OLCI (Ocean Land Colour Instrument) sensor which is scheduled to be launched on ESA’s Sentinel 3 satellite in 2015. John Icely (JDI) as the co-owner SGM has also been involved with a further two EU projects that were not associated with the company. Main tasks in CERES – SGM will contribute data from a well studied offshore aquaculture site for the Mediterranean mussel at Sagres , Portugal with an emphasis on WP 3 (Aquaculture) – T3.1 ,3.2, 3.3, WP5 (Vulnerability & Opportunities)- T5.1 , T5.2, T5.3. A minor effort for WP4 (Economic Impacts)- T4.2 and WP6 (Stakeholder Engagement) . VAI -Vet-Aqua International (VAI) is a private veterinary practice which has specialized in aquatic animal health and medicine, primarily aimed at the aquaculture sectors. VAI was established in 2000 and services the farming, public aquaria and wild fisheries sectors in Europe and elsewhere. In addition to veterinary, health management and disease diagnostic services VAI is also actively involved in research applied to the health challenges facing the aquaculture sectors. VAI works with the salmon and trout industries in Ireland, Scotland, Norway, Faroe Islands, Australia, Canada and New Zealand. Main tasks in CERES – Vet-Aqua International will undertake tank challenge trial work with marine salmonids and cleaner fish (wrasse species (Labridae) and lumpsuckers (C. lumpus)) exposed to hydroids (E. larynx) with and without parasitic amoebae (N. perurans) to assess impact on fish health and welfare. The trials will be undertaken at different water temperatures to assess the impacts of elevated sea temperatures. This work applies to CERES WP3.2 – indirect effects of climate on aquaculture species. 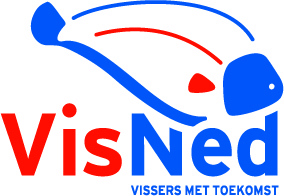 VISNED – VisNed is an organisation representing the producers organisations of Urk, Southwest and North in The Netherlands comprising 80% of the fisheries for flatfish and 40% of the fisheries for brown shrimp. The mission of the organisation is to advocate the interest of the fisheries in questions around fisheries management, quota management and sustainability. Main tasks in CERES – In CERES VisNed can actively participate in: T1.2 Impacts of multi-scale governance and economic drivers of change, WP4 Economic Impacts of Climate Change on Fisheries and Aquaculture sectors WP6 Integration and synthesis. In the task and Work-packages VisNed contribute to the project by: (i) providing input to the management questions addressed in the research project, (ii) providing logbook data of (individual) vessels, (iii) participating in the meetings centred around stakeholder input, (iv) providing comments on the results of the research, (v) supporting early stage and experienced researchers appointed in the project to improve the knowledge of the Dutch fisheries.